Guitar Lessons in Leicester, with High Quality Tutors. Both the Electric and Acoustic guitar are sonically versatile instruments and the bedrocks of many popular styles. The list of genres and songs that you can play on guitar is endless. But picture this, the rewarding feeling of playing those first four chords in front of an audience, or being able to get through your first solo. The Guitar is not only a highly enjoyable instrument but also requires focus and practice to make you sound amazing. In addition, every band needs a guitarist so you’re guaranteed to meet new people and enjoy the social benefits. This is especially true for beginners. As a starting point, having the basics of a solid technique (explained in a fun and engaging way) will save hours and hours of frustration later down the line. All of our Leicester guitar teachers have trained to a professional standard and are performing or recording musicians in their own right. However, this isn’t enough to make a great teacher. 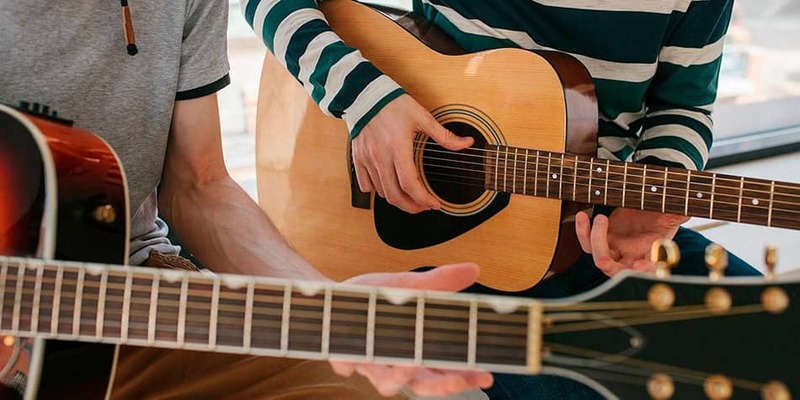 Our Leicester guitar tutors have also honed the ability to communicate technical or music theory ideas, concepts and exercises in clear, simple, language. These skills, coupled with great enthusiasm and the determination to personalise the learning experience for each student means that MusicTutors believe we have the best team of guitar tutors in Leicester. Try it out for yourself! Get in touch with one of guitar teachers today and we’ll send you a voucher for a half price lesson. Interested in Learning Another Instrument in Leicester? We are proud of offering professional music lessons in a wide range of instruments in most areas of Leicester. Have a look through our range of tutors below. Browse our range of Leicester based drum tutors here! 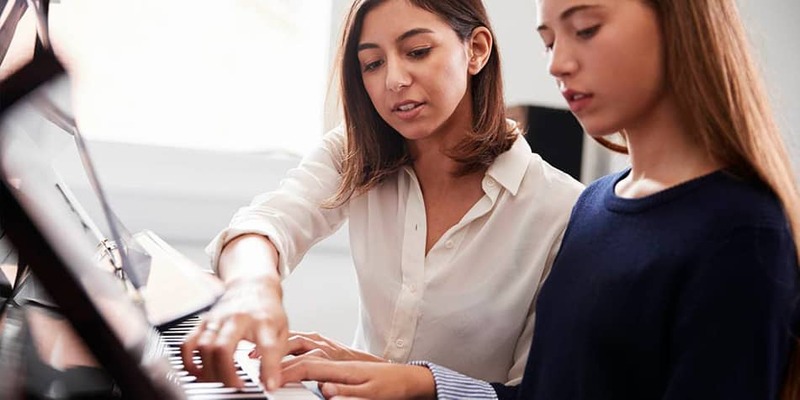 Browse our range of Leicester based piano tutors here! Browse our range of Leicester based singing tutors here! Browse our range of Leicester based saxophone tutors here!